Although enforced disappearance is a crime under international law, the U.N. has recorded thousands of disappearances in over 100 countries in recent decades. On August 30, International Day of the Victims of Enforced Disappearances, we will share a few of these cases in Syria, Belarus, Algeria, Burundi, the Southern Cone, Zimbabwe and Sri Lanka, and you can join Amnesty’s call for justice for the disappeared. In Syria, enforced disappearances have been systematic under the Assad regime, dating back more than thirty years. Ali Mahmoud Othman is a citizen journalist from Homs who started reporting on the situation in Syria in the absence of reports by professional journalists, because of restrictions imposed by the Syrian authorities. 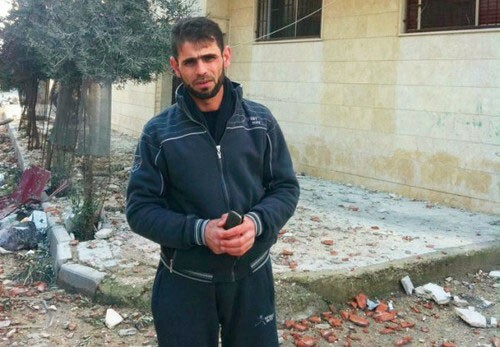 He was arrested in March 2012 in Aleppo province and hasn’t been seen in public since May 2012, when a Syrian government-controlled television broadcast showed footage of him being questioned by TV presenter Rafiq Lutuf about his involvement in the protest movement and his media activities. The footage makes it clear that he had been arrested by government forces. Syrian activists believe he had been coerced into taking part in the interview. You can take action on his case here and take action on Syria’s disppearances here. In Belarus, September 16th will mark the 18th anniversary of the enforced disappearance of prominent Belarusian opposition politician Viktar Hanchar and his business associate Anatol Krasouski. Both men disappeared the same day as a broadcast on state television showing President Lukashenka ordering the chiefs of his security services to crackdown on “opposition scum.” Hanchar was a Deputy Chairman of the dissolved Belarusian parliament. Shortly before his disappearance, he telephoned his wife to inform her that he was on his way home. Broken glass and blood were discovered at the site where relatives and friends believe the vehicle in which the two were traveling may have been stopped. A high-profile anti-government politician, Hanchar was considered an active fundraiser for the opposition. Despite the fact that the Belarusian KGB had both men under constant surveillance, the official investigation announced that the case could not be solved. In March 2012, the United Nations Human Rights Committee concluded that Belarus failed to properly investigate and take adequate actions regarding the disappearance of Anatol Krasouski. The Committee’s called on Belarus to investigate the disappearance and punish the perpetrators; however, the Belarusian government has completely ignored the UN Human Rights Committee’s decision. Email President Lukashenka (contact@president.gov.by) and ask him to implement the UN Human Rights Committee’s decision. During Algeria’s civil war, from roughly 1992 to 2002, both the dispersed armed Islamist groups and various parts of the government security apparatus committed grave atrocities against large segments of the civilian population. State security forces and state-armed militia in particular were responsible for thousands of enforced disappearances, which disproportionately targeted vulnerable communities. The Algerian state response to the complaints by victims’ families has until now been grossly inadequate: investigations have been incomplete and the findings have not been made public, no list of the disappeared has been published, and the security forces have been granted blanket immunity in the name of “national reconciliation.” Families have been offered financial compensation, yet the process of compensation fails to meet international human rights standards. These families continue to organize and demand justice, but their activities are monitored and their peaceful protests are regularly dispersed and sometimes violently repressed. Although the number of disappearances has drastically reduced since the violent conflict ended, individuals suspected of terrorism-related activities continue to be arrested without acknowledgement or information as to their whereabouts. The government in Burundi has used enforced disappearance as one of its ways to repress journalists, opposition politicians and others thought to be critical of the ruling party. 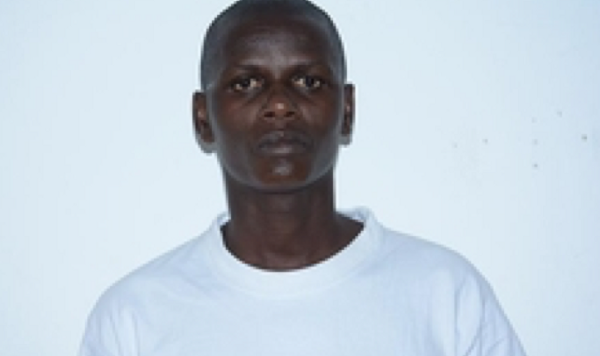 One journalist, Jean Bigirimana, has been missing since July 22, 2016, after he was taken by people believed to be members of Burundi’s National Intelligence Service. Attempts by his family and his employer Iwacu newspaper to find him have been unsuccessful. The newspaper believes that Jean Bigirimana was disappeared because of his work and activities as a journalist. The Burundian police spokesperson has denied these allegations. Southern Cone countries, from Chile to Argentina and even Uruguay, all endured disappearance as a form of repression during the “dirty wars” that swept across the region in the 1970s and 1980s. Although it has been almost four decades, many victims’ families are still struggling to find truth and justice for their loved ones. Forensic investigations are still conducted, and the push for trials continues despite pushback. As governments attempt to move on from the period, some activists fear a return to this method of violence — punctuated most recently in Argentina. Santiago Maldonado, an activist in the Mapuche community, was disappeared by the security forces during a raid by the military police. On the International Day of the Disappeared, demand that he is returned to the community and that the government carry out a full and impartial investigation. Zimbabwe regularly commits human rights abuses and is accused of widespread corruption. Itai wanted his government to do better. Since he was disappeared, little effort has been made to ensure his return despite a court order requiring the government to properly investigate his disappearance. Amnesty is demanding that the government properly investigate what happened, provide an accounting to his family, and hold responsible the individuals involved in his disappearance. Email President Mugabe (info@opc.gov.zw) and remind him that a Zimbabwe court ordered the government to investigate Itai’s disappearance. Urge him to ensure Zimbabwe honors its human rights obligations, ceases committing human rights violations, and provides Itai’s family some small solace in knowing what happened to their loved one. Over the past 35 years, Sri Lanka has experienced up to 100,000 enforced disappearances. In the vast majority of cases, no one has been brought to justice. 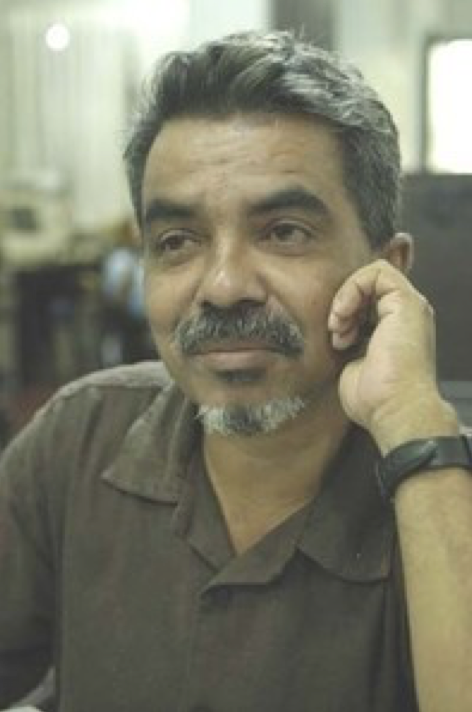 One of the disappeared is journalist Prageeth Eknaligoda, who disappeared on Jan. 24, 2010, two days after publishing an article critical of then president Mahinda Rajapaksa. · Come to “Out of the Dark” — Amnesty’s Oct. 22 event in Chicago on enforced disappearances in Sri Lanka. While we remember the disappeared on Aug. 30, their families are haunted by their loss every day. Enforced disappearance is a continuous crime that doesn’t end until the families learn the truth and the perpetrators are brought to justice. Help Amnesty bring that day closer for the families of the disappeared. Take action today! Viachaslau Bortnik, Sarah Hager, Ken Harrow, Sabina Henneberg, Jim McDonald and Debbie Sharnak also contributed to this article. We've been fighting the bad guys since 1961 - you can join us! Official Amnesty International USA profile.